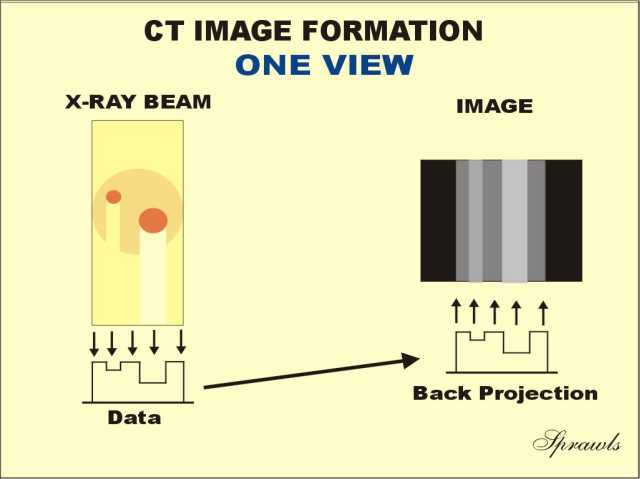 The three phases of CT image formation. 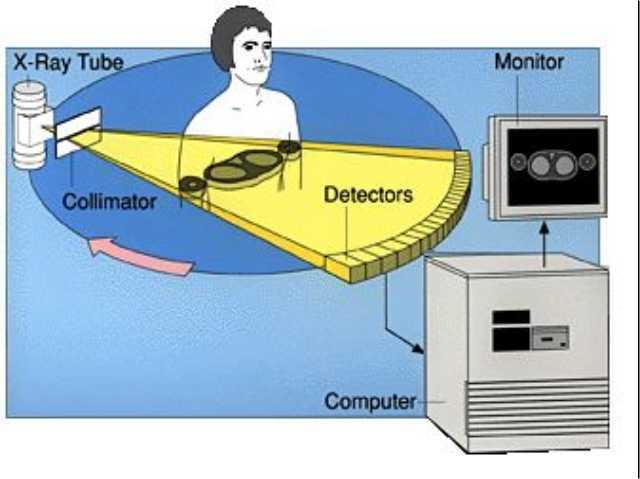 The x-ray tube scanning around the patient's body. 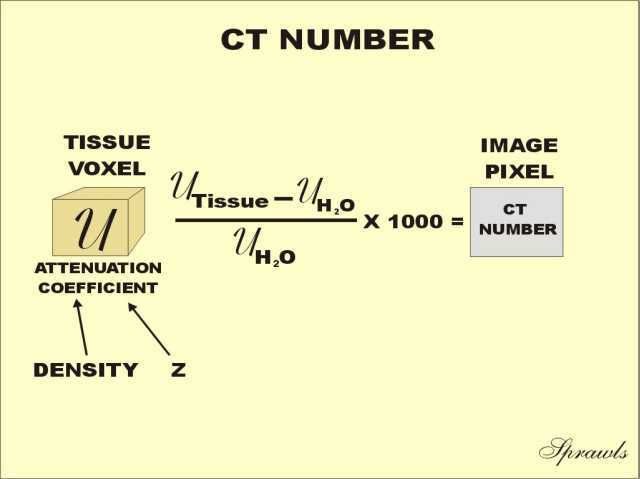 The image quality characteristics of a CT image. 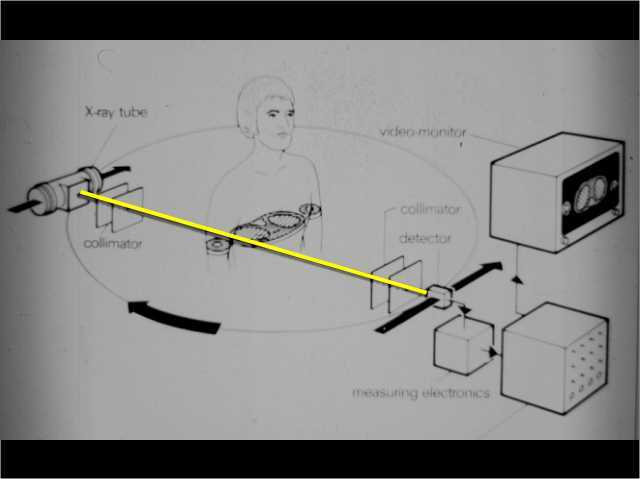 A VIEW produced from one x-ray tube position. 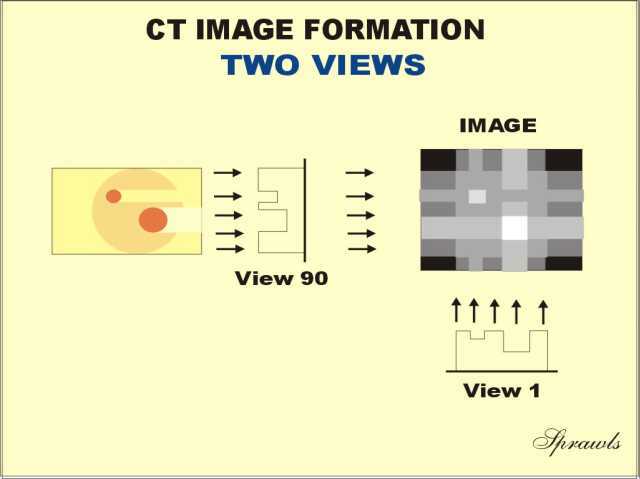 A CT system showing one VIEW. 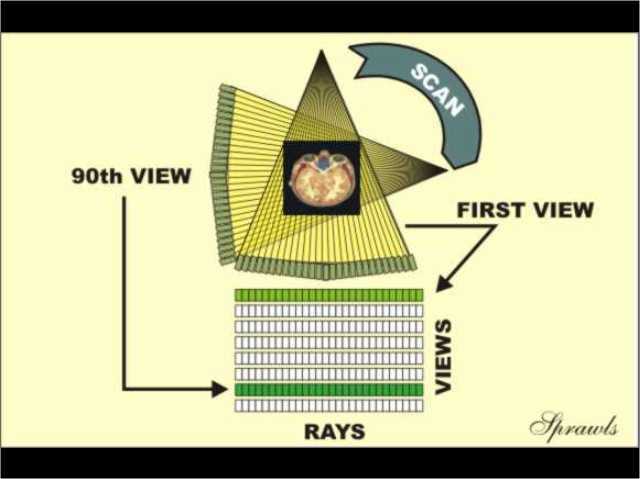 One RAY within a VIEW. 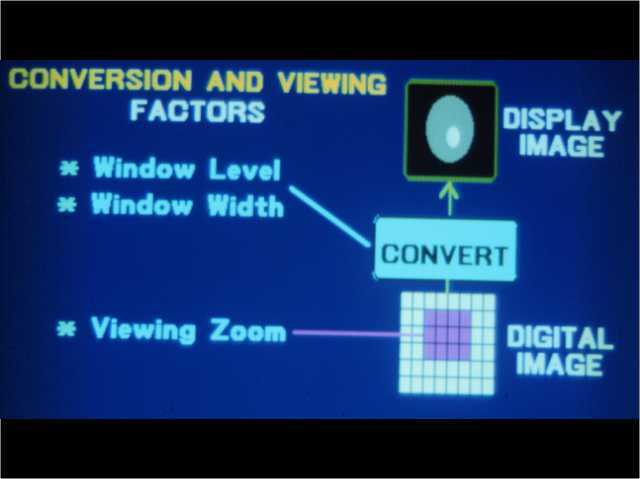 A SCAN is made up of many VIEWS. produce images of more slices. 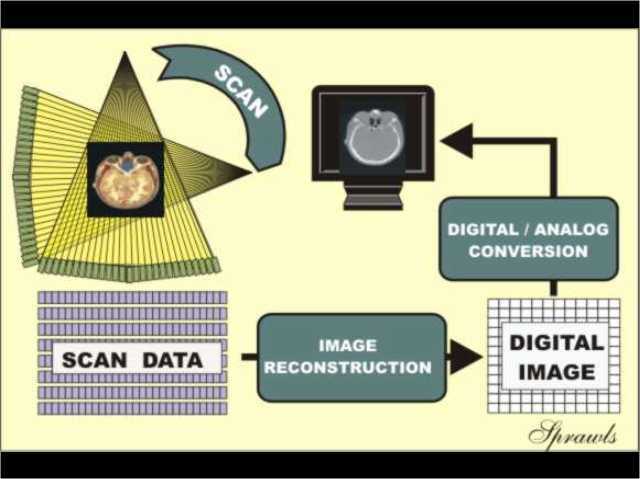 The scan-and-step method produces data sets for individual slices. 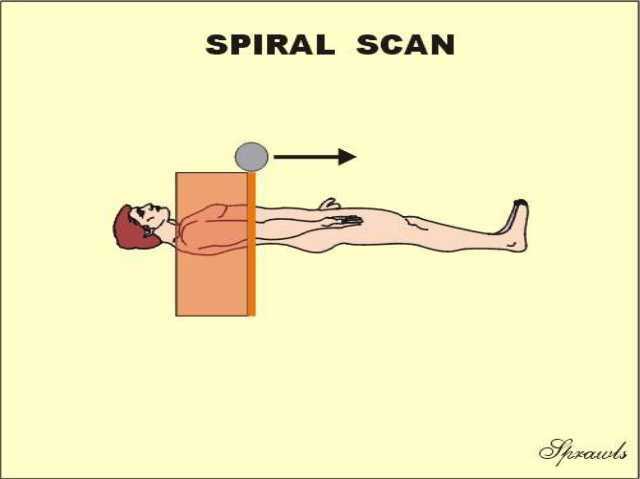 Spiral (helical) scanning moves the body continuously through the beam. 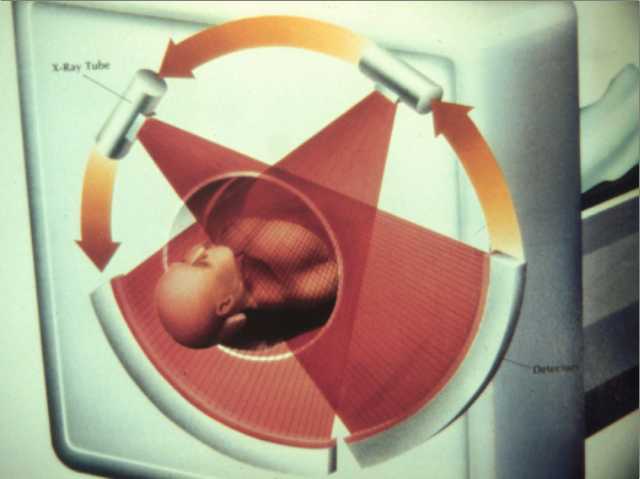 This is what we see if we move along with the patient. Increasing the PITCH moves the body faster through the beam. 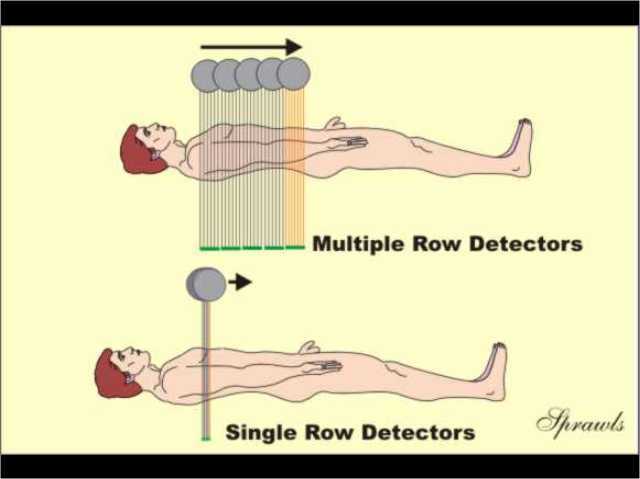 CT machines can have either single or multiple rows of detectors. 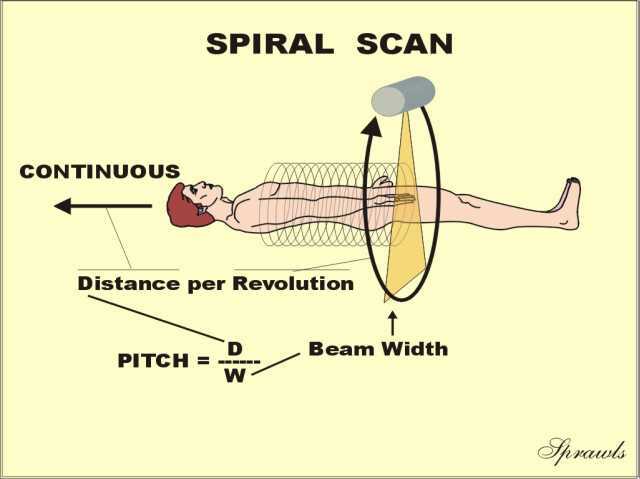 Helical/spiral scanning produces a continuous data set. 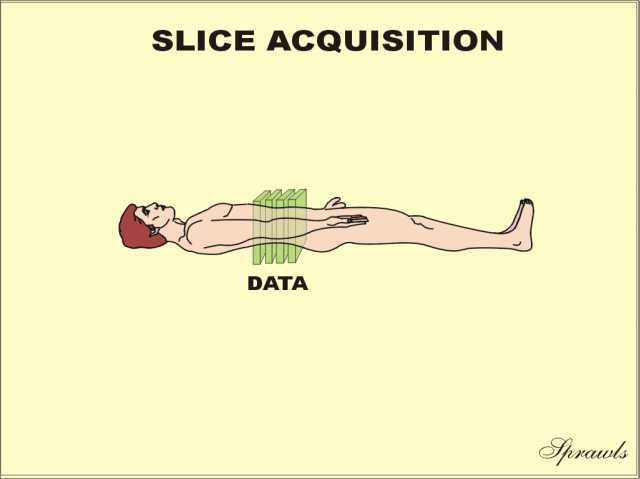 Scan-and-step slice acquisition produces data sets for individual slices. 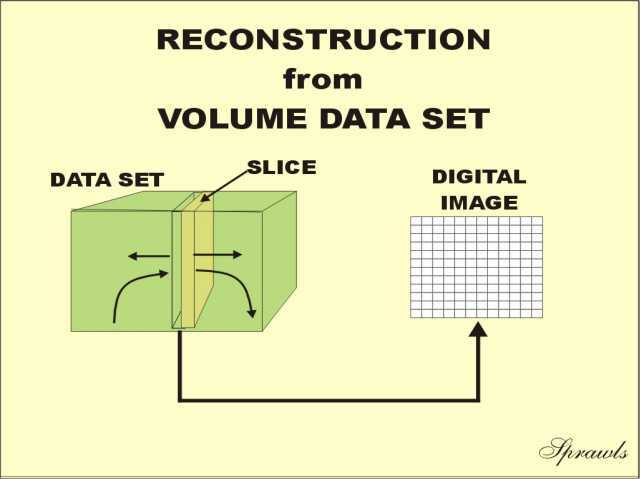 Images can be reconstructed from any slice location within a volume data set. 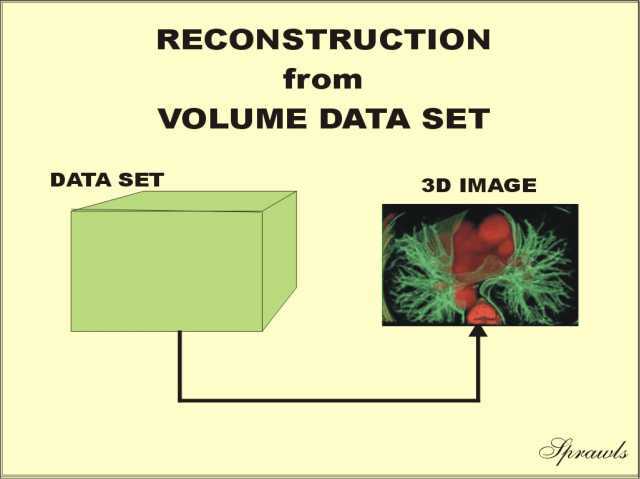 3D images can be reconstructed from volume data sets. 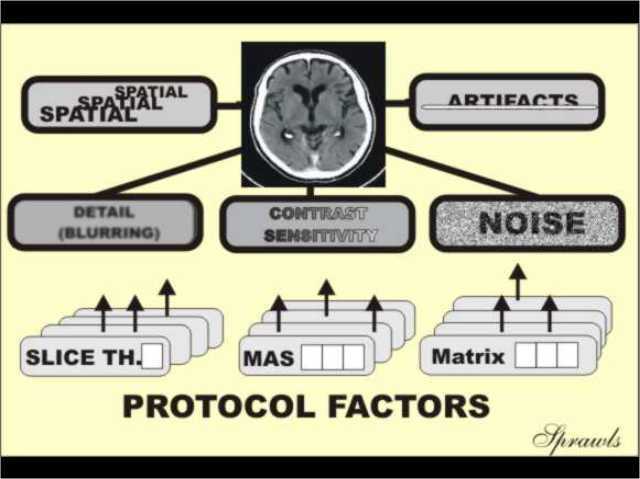 an image from the scan data. An image reconstructed from one view. 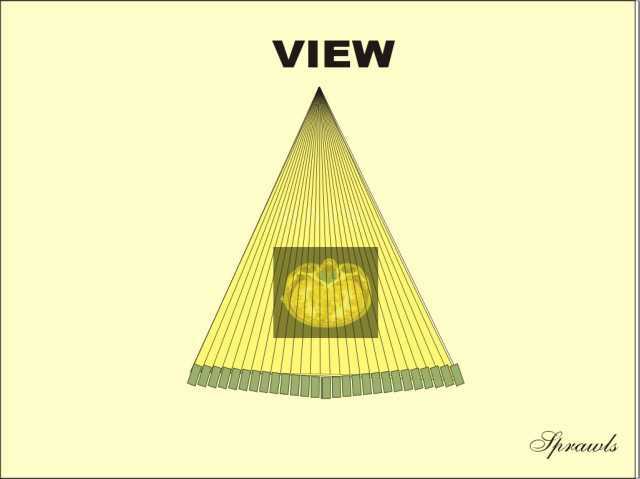 The image is improved with two views. 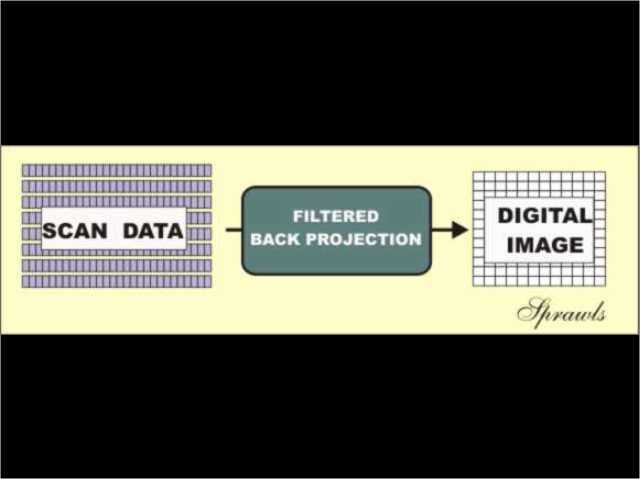 that correspond to image pixels. 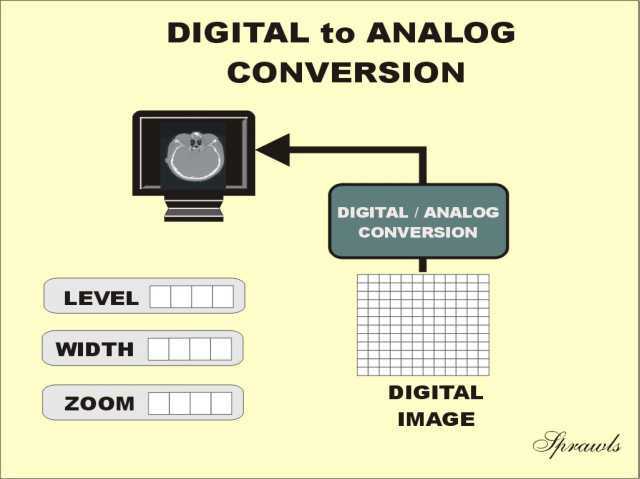 The DIGITAL-TO-ANALOG conversion is the last phase. 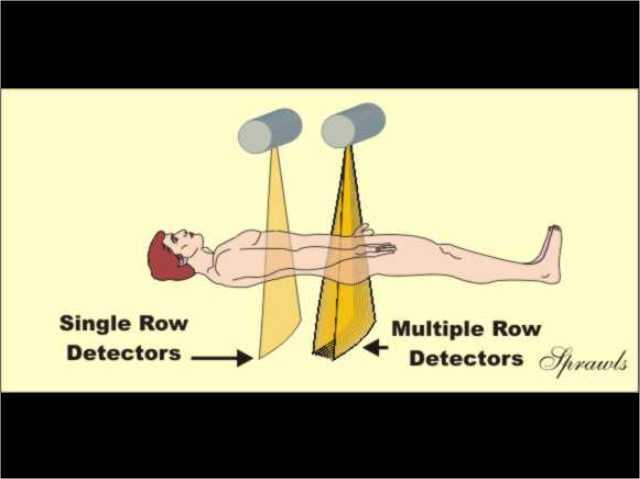 Window LEVEL and WIDTH must be set to view specific tissues. 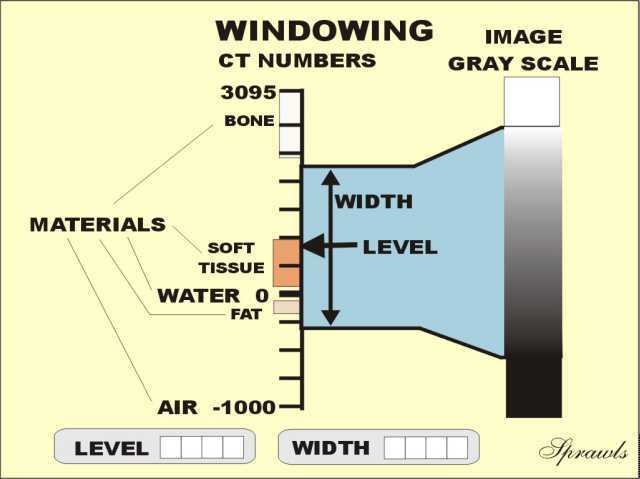 Windowing contributes to the high contrast sensitivity of CT.
ZOOM is the process of selecting a smaller area within the reconstructed image for display. To return to the beginning, CLICK HERE.